Dr. Goldberg & Associates, PLLC (Vienna) - Book Appointment Online! 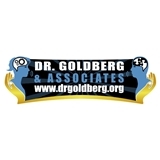 **NOTE: We will have to call you to confirm your appointment Welcome to Dr. Goldberg & Associates! We provide psychological services in the Northern Virginia area. This includes psychotherapy, assessment, and consulting. We are available for educational and psychological assessments. We work with children, adolescents, couples, and individuals. Our group practice operates in the Northern Virginia, DC, and Maryland areas. Expansion continues and the practice is now better able to accommodate more requests for treatment including additional providers (16), hours, locations, services, and greater insurance participation. Since Dr. Goldberg has limited availability, please contact our office directly to determine the next available apppointment with a provider who can addres your needs.